On June 1, President Donald Trump announced that the US will exit the Paris Agreement on climate change. But not all cities want to withdraw from the accord. The city of Pittsburgh aims to transition to 100% renewable energy sources — like wind and solar — by 2035. 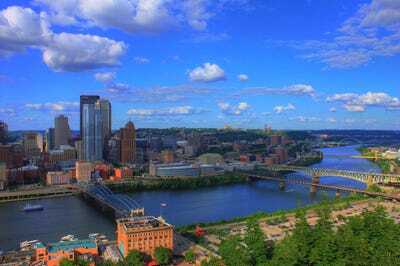 On June 2, Mayor Bill Peduto said that he is joining a coalition that intends to uphold the Paris Agreement, called Mayors for 100% Clean Energy. The coalition, an initiative of the Sierra Club’s Ready for 100 Campaign, represents a growing number of US mayors who have endorsed a community-wide goal of switching completely to clean energy. Thirty cities, three states, more than 80 university presidents, and more than 100 companies recently launched another group with similar goals. Organised by billionaire philanthropist and former New York City mayor Michael Bloomberg, that coalition will submit a plan to the United Nations that commits to greenhouse-gas limits set in the Paris Agreement, according to The New York Times.